The Kyiv real estate market suffers from a striking undersupply of modern downtown residential housing. It is a well-known fact that there is currently a severe lack of multi-bedroom apartments with Western-style renovations for lease in the very center of Kyiv. Elderly people without the financial means to refurbish their property occupy many of Kyiv’s historic city center apartments. Other typical downtown residents including people who acquired apartments in prime locations more than a decade ago but are now unwilling or unable to invest in order to update the interiors or the engineering infrastructure. New residential construction projects are unlikely to fill the gap. A lack of suitable downtown land plots means that newly developed residential buildings with apartments that meet expat standards are in short supply and will remain so. The few that do exist tend to belong to wealthy local owners who use them as residences or expect unreasonably high rental rates. Meanwhile, central Kyiv has scores of derelict historical buildings in prime locations that could be excellent candidates for redevelopment as premium housing. 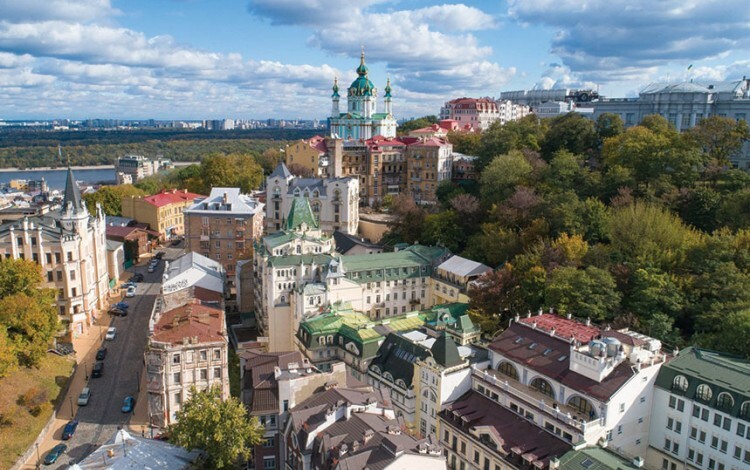 This article explores the investment case for redeveloping Kyiv’s historical buildings to overcome the city’s residential housing shortage, and discusses market demand, potential yields, redevelopment strategies, and legal issues that potential buyers should bear in mind. In Kyiv, plenty of landlords were spoiled by the good times of the pre-2008 financial crisis and, to a lesser extent, the pre-Maidan period. Lingering memories of these more profitable times mean that many still refuse to update their price expectations to present-day realities. Landlords who are already depressed by what they see as low prices are generally reluctant to take on additional expenses to make their properties compliant with embassy housing requirements. Diplomats are among the most sought-after tenants for expat-friendly premium housing, but many embassies have strict and lengthy housing requirements for safety and security covering everything from electrical load capacity and grounding to elaborate requirements for entrance doors and locks. This impasse helps to aggravate the expat housing supply deficit while pushing up prices further, leaving potential tenants exasperated and wondering why rents should be comparatively higher than in other Central and Eastern European capitals. With the Ukrainian economy in the early stages of a steady if unspectacular growth period, the problems associated with the current housing shortages look set to become more acute if more premium rental housing does not appear online downtown quickly. Unlike much of the world, Kyiv has comparatively little purpose-built rental housing, while virtually nothing like this exists for the premium segment in particular. In Ukraine, it is simply not prestigious to live in rental housing. Local developers are generally interested in the potentially higher returns offered by apartment sales and often do not want to trouble themselves with renovating, furnishing, and managing apartments. Why bother with all these details when you can sell an unrenovated “shell and core” property with decent margins? Besides, many Ukrainian developers tend to lack the experience and expertise to develop and manage premium rental housing to meet the needs of premium expat clients. Thus far, few shown the ability to conduct even rudimentary market research to create a housing concept that meets a clear market need for any segment. A farsighted international investor with redevelopment experience could potentially fill this gap in the market with a housing product tailored to the needs of expat tenants. For example, an entire building could be redeveloped taking into account all of the safety and security requirements of embassies together with foreign tenant preferences for design and functionality. What about investment yields? Today in Kyiv, savvy buyers have been able to achieve 10-12% gross yields on apartments in older buildings in the prime rental districts. Similar yields are certainly achievable for investors who buy and renovate the right building in the right location. Foreign investors who are considering buying an historical building in Kyiv face a number of key legal issues. 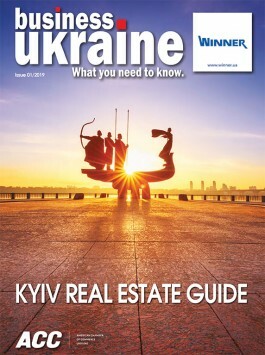 In Ukraine, you can structure your acquisition as either an asset or a share deal. In a share deal, it is important to analyze and structure the legal and corporate presence of a buyer, taking into account investment protection and profit repatriation considerations. Debt or equity financing of acquisitions are both options, and each has a particular impact on cash flow and taxation. A foreign entity without permanent establishment or a foreign individual who owns a building in Ukraine should register with the tax office through an agent who will pay real estate property tax. Lease payments paid by a Ukrainian resident lessee to a foreign entity or individual are subject to withholding tax at a rate of 15%, unless a relevant double tax treaty provides for either lower tax rate or tax relief. For some deals, antimonopoly clearance might be necessary where parties to a deal have turnovers exceeding established financial thresholds. This is particularly relevant for share deals where a buyer acquires a controlling stake in a project company. In an asset deal, antimonopoly clearance is less frequently obtained, particularly where an operating business and an underlying property are bought forming a so-called “integral property complex”. Some leases associated with a change of control can also call for antimonopoly clearance. Recently introduced in Ukraine, escrow bank accounts can help mitigate risks during the acquisition of a building. Thus far, this tool has mainly featured in large capital projects, but it is also suitable for the acquisition of smaller assets such as buildings or apartments if the parties are prepared to incur the related costs. Since Ukraine’s online public register of real estate has only been operating since 2013, thorough due diligence is obligatory. This includes investigating the history behind the target property and previous transfers of title, as well as an assessment of any ongoing disputes that might prevent a sale or affect the title of any new owner. Many derelict buildings in Kyiv have ongoing disputes that would need to be resolved. The general statute of limitations in Ukraine is three years, but this does not provide any absolute guarantees against third-party claims against a new owner. In certain instances, the courts can renew the statute of limitations. Prospective buyers should also check the title to the land plot underlying the target asset and identify whether it provides for ownership, lease or permanent use. The cadastral number of an underlying land plot should feature in any sale and purchase agreement for a building or premises. However, this does not entail the automatic transfer of title to the land, and the buyer of a building needs to acquire and register rights to this land plot, if possible. This is because separate title documents each certify rights to a plot of land or building, and the procedures for each may differ. Renovation or reconstruction works performed without proper permits, or otherwise illegally, can affect or prevent a deal, even where both parties are interested in completion. Any buyer should check the technical passport for a property and ensure it includes updates to reflect renovations. It is notoriously difficult to sell real estate involving illegal renovation work. A court ruling may prove necessary before the buyer and seller can proceed with the deal. Whether a particular renovation requires any permits and changes to the property’s technical passport and title document requires assessment on a case-by-case basis. This depends on the nature and scope of the works as well as the effect on a building. When buying historical real estate in Ukraine, you should check documentation for compliance with the specified usage. This applies to urban development plans and limitations, zoning plans, and other city planning documentation as well. Such information is not always systematized and publicly available online, meaning that you may need to check with the local authorities. When buying an older building in Kyiv it is especially important to check whether the target property enjoys classification as a monument of architecture. Cultural heritage sites have a special legal status that aims to protect and enhance their integrity. Various restrictions and requirements can have implications for everything from the transfer of ownership to proposed future renovation of the property. It may be necessary to enter into special “protection” contracts with the relevant state authorities that manage the protection of the city’s cultural heritage. As the saying goes, “if it were easy, everyone would do it”. This certainly applies when it comes to buying and redeveloping derelict historical buildings as premium housing in Kyiv’s city center. Nevertheless, market demand and potential investment yields are hugely enticing. It is clearly not an easy prospect, but bold international investors teamed with experienced real estate and legal advisors could achieve considerable returns if they take up this challenge. As the Kyiv premium market grows increasingly crowded, it is certainly one of the most exciting segments of the residential segment to watch. Special thanks to attorneys Svitlana Teush and Robert Shantz with Redcliffe Partners for their contributions to this article. Please note that this is article not intended to replace qualified legal advice. You should also bear in mind that your specific circumstances may differ from the assumptions used here.